In my head, my workout week runs from Monday through Sunday. For this reason, I post my weekly workout recap on Sunday mornings, at the end of my week. My normal day off from running usually falls on a Sunday so this type of weekly workout recap posting schedule has always worked for me most of the time. However, this week I swapped my running days around because of the rain Friday morning. I chose to stay inside for a longer Pure Barre workout Friday morning, assuming I would run today instead. I sort of feel myself gravitating towards a more varied type of running routine where my days of running/not running may change. Sunday may become a running day more often than it has in the past. If I find myself running more on Sunday’s than I have been, I may change my posting schedule OR start recapping my workouts from Sunday – Saturday. I had been craving a change to my routine and spoke to Laura about it in-depth. We discussed that I will begin a training period with her that isn’t specific for a race, rather, it’s a few weeks of her scheduling and planning my workouts to mix things up and get me ready to train for a fall half marathon. I still didn’t pick a fall half marathon though! Right now, it’s between the Suffolk County Half Marathon in October and the Falling Leaves Half Marathon in November. I should really make a decision already! Monday mornings are my only mornings of the week that are a little bit time crunched. I have to drop my son off early in the morning for his weekly teen tour program so the plan for me is to squeeze in whatever workout I can before we leave the house. The humidity was low but it was still warm and sunny outside so 6 miles felt nice and easy. Not even sure what I did out there, I think I threw in a bunch of fartleks. 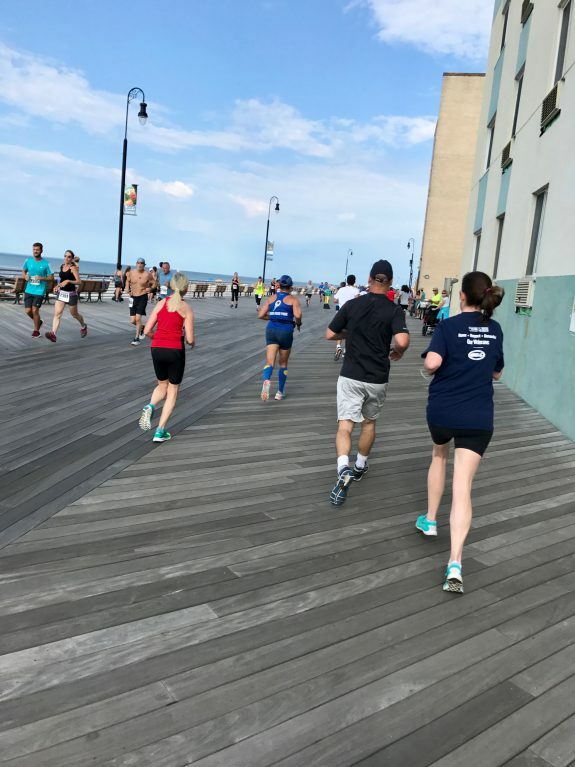 I mentioned this boardwalk run in Wednesday’s post. It will always be known as that time I found myself running in a 5K race! I am still laughing about how that happened to me and really feel as though all runners should encounter that experience. It’s such a funny feeling to be in a midst of a race but not really be a part of the race. Low humidity and lots of sunshine made today’s run terrific. No real plan for the miles, just ran where I felt comfortable. I enjoyed this easy run SO MUCH. 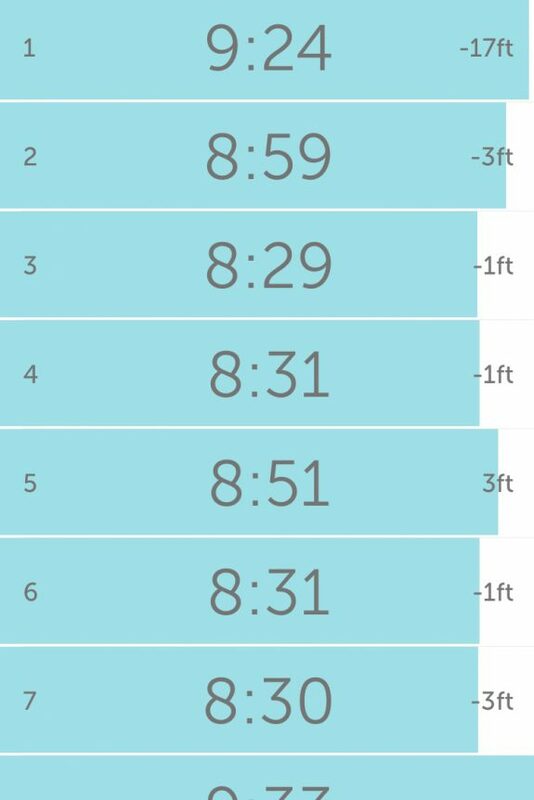 5 miles in exactly 50 minutes means I averaged 10:00 minutes per mile exactly and it was the most effortless and comfortable run ever. After I finished my run, I came home for a quick Pure Barre Thighs/Seat workout. I believe it was 13 minutes in length (so technically not a Tone in 10 workout). I woke up to rain which gave me reason to choose a 50 minute Pure Barre workout from Pure Barre On Demand. I guess I could have gone to the gym for the treadmill but I didn’t feel like it! Instead, I swapped my Pure Barre only day which is usually reserved for Sunday’s to today. I figure I will run a few miles outside on Sunday instead as the weather is supposed to be nice. It’s worth noting that the Pure Barre workout I chose today was crazy killer on the thighs! Oh. My. Goodness. I could barely hold the positions and the Pure Barre shake was definitely present. 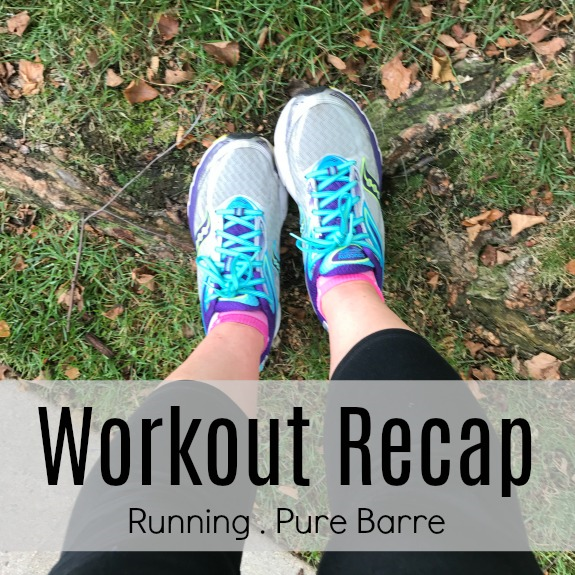 I’m telling you, it doesn’t matter that I have been a Pure Barre addict for three years now – it still challenges me every week! I ran a little bit later than normal which was a mistake since it was getting hotter by the minute! I don’t really know what I was thinking lounging around before heading outside. Ah well. I held my own until about mile 9 when the heat and humidity began to get to me. When this happens, I don’t panic, I just slow down which helps me to feel better. The plan is to run a few easy miles and then pick a short Pure Barre workout from Pure Barre on Demand. I have so many options right now in Pure Barre with the new On Demand format which is so exciting. It’s so rare that I do the same workout twice! 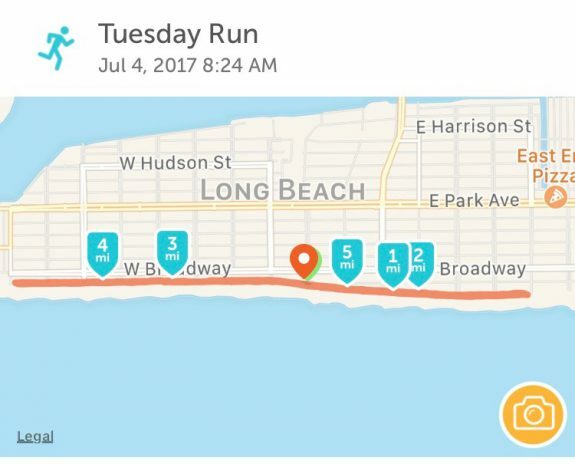 In your head, how do you track your workout week? Is it Monday through Sunday? Sunday through Saturday? Or another format? Anyone else signed up with Pure Barre on Demand yet? What do you think? When is your next race? Did you pick a fall half marathon? I used to do Sunday through Saturday but now I do Monday through Sunday. Often times Sunday is a rest day so it doesn’t matter. Since I post my recaps on Monday I can include Sunday, but I usually draft the post on Saturday and then just add in whatever I did on Sunday at the last minute. Sometimes I really like running on Sundays, other times I enjoy making it a rest day! agreed – sometimes I really like Sunday for running and sometimes I really like making it a rest day!